No study of the mushrooms of British Columbia can be considered complete without a discussion of Magic Mushrooms. 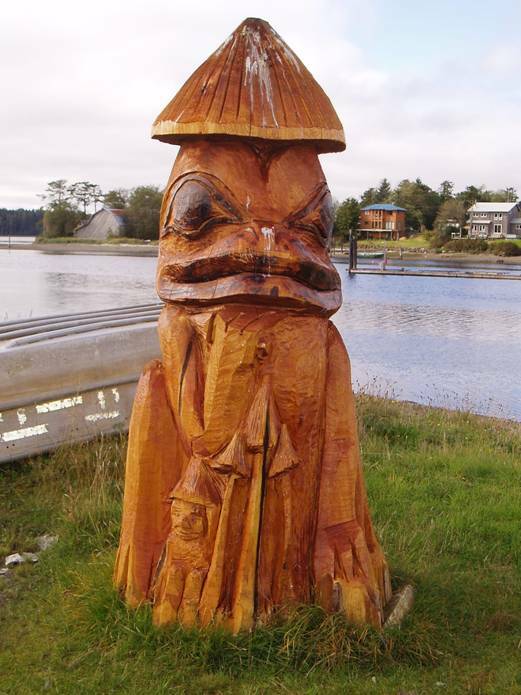 It is likely that no communities in Canada have been affected as much by magic mushrooms as those of Haida Gwaii. Many people believe that psychoactive mushrooms were used for spiritual or medicinal purposes by Haida and other coastal first nations, but there is little evidence in the formal ethnological literature of traditional use of mushrooms, even as food, among coastal first nations. In fact, most local peoples appeared to avoid all mushrooms in general. R. Gordon Wasson, who established and named ethnomycology, which is the study of the role of mushrooms in human cultures, hypothesized that some peoples are mycophobic or mushroom-fearing because in the past mushrooms were used as important ritual intoxicants. Wasson proposed that in some visionary-mushroom using cultures, mushrooms became shunned. The role of shaman became a distinct occupation within communities as cultures increased in complexity, and use of visionary mushrooms became the exclusive prerogative of shamans in their roles of healer and diviner. 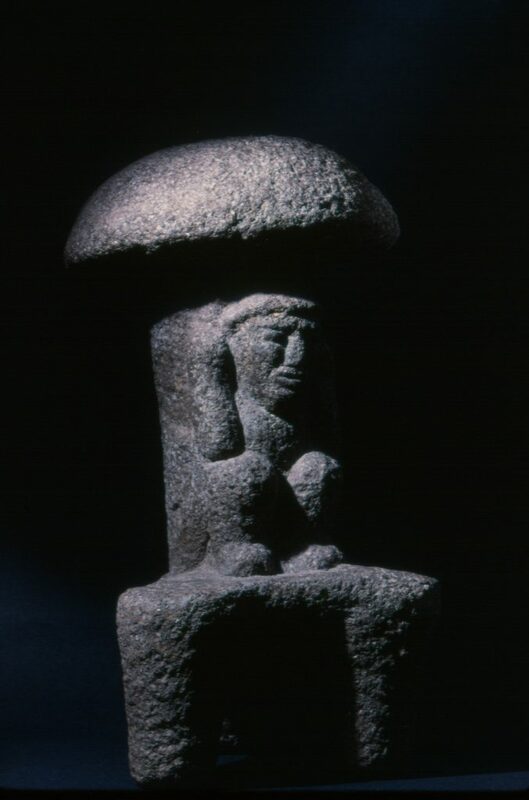 Thus in some cultures a prohibition on use of visionary mushrooms by non-shamans eventually became extended to a cultural aversion to or taboo against mushrooms in general. Two main candidates exist for visionary mushrooms traditionally used as ritual or spiritual intoxicants in Haida Gwaii or elsewhere in British Columbia. Both are popularly known as “Magic Mushrooms”, though they differ greatly in pharmacology and subjective effects. The Liberty Cap is a grassland species strongly associated with grazing livestock, though not growing directly from dung. There is a strong possibility that this mushroom, a common species in temperate Europe, was introduced to British Columbia with livestock and fodder grass species. So this species may not have been available before European settlers and their agriculture became established in British Columbia. 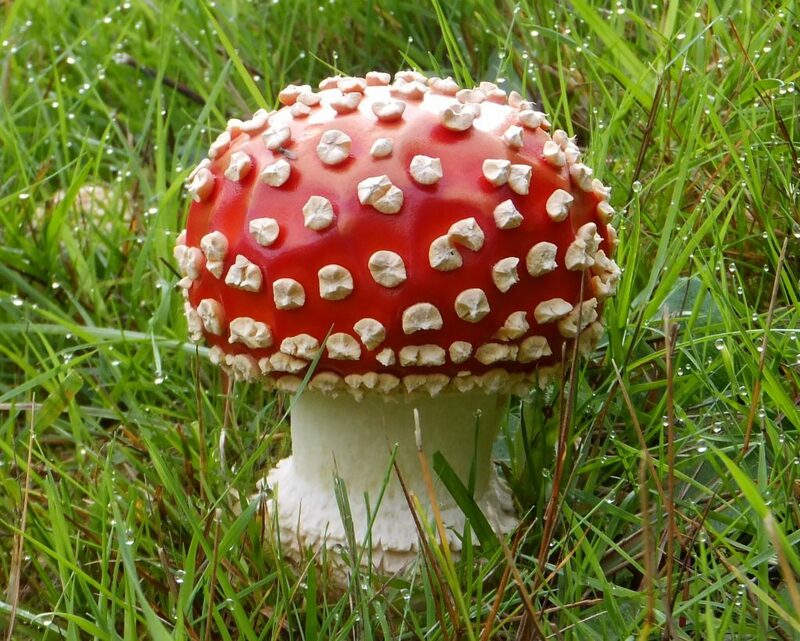 This stereotypical toadstool with its white-spotted, bright red cap has a long history of use as an intoxicant in many parts of the northern hemisphere. Various reindeer-herding peoples of Northern Europe and Eurasia, and especially Siberia, used these as inebriants in shamanic practices, and the use of Fly agaric in traditional healing has been reported for First Nations of North America among the Ahnishinaubeg of Lake Michigan and the Dogrib of Great Slave Lake. This mushroom is common in British Columbia. 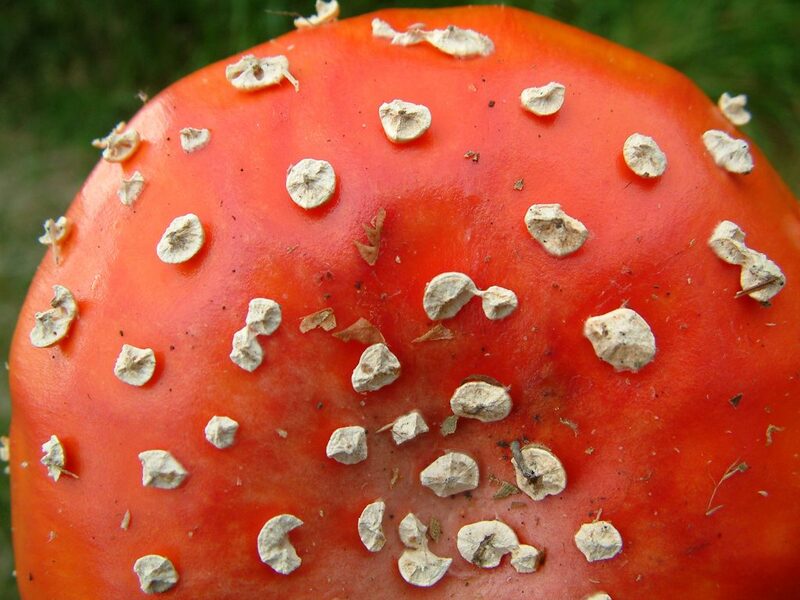 See the sections on Amanita muscaria and Amanita pantherinoides in About Poisonous Mushrooms for more information on the effects. Hallucinogenic mushrooms first came to public attention in May 1957 when Life Magazine published an article by R. Gordon Wasson titled: Great Adventures III: Seeking the Magic Mushroom. Here the world learned that some Mexican native groups used hallucinogenic mushrooms in traditional religious ceremonies. The term “Magic Mushroom” was first introduced in the title of this article. By the early 1960’s many North Americans and Europeans had travelled to Mexico and experienced the magic mushrooms. During this time it was also discovered that the hallucinogenic mushrooms also occur widely outside Mexico. The first ever documented recreational use of psilocybin mushrooms growing outside Mexico occurred in Vancouver. 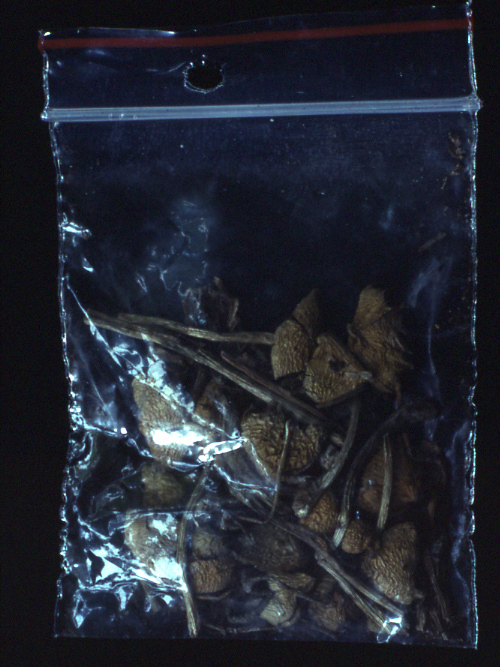 In 1965 RCMP confiscated Psilocybe semilanceata or Liberty Cap mushrooms from students at UBC. 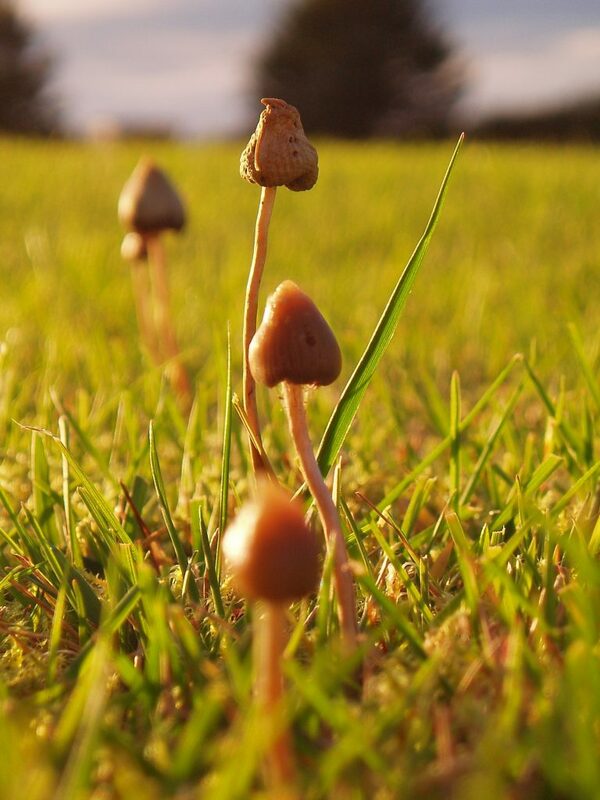 Evidently this widespread and distinctive little meadow and pasture mushroom had been recognized as being related to species encountered by magic mushroom tourists in Mexico. By the early 1970’s many areas in British Columbia, including Haida Gwaii, had become well known for having productive Liberty Cap mushroom fields, and were attracting large numbers of pickers from across Canada. Hundreds of people would descend upon particularly productive areas during the autumn season, and often squatter communities developed near the fields. Incidents of trespassing, property damage, adverse reactions to ingested mushrooms or “bad trips”, and conflict with local residents escalated as the mushrooms increased in popularity. In late 1974 psilocybin was prohibited, when it was added to the Food and Drug Act. In the first year of psilocybin prohibition there were two convictions in Canada for magic mushrooms, both in Ontario. In 1975 there were seven convictions, with two being in British Columbia, two in Saskatchewan and three in Alberta. In 1976, 25 convictions were recorded with 17 or 68% in British Columbia. In 1977 there were 78 convictions with 55 (71%) in British Columbia; and in 1978 there were 149 of which 120 or 81% were in BC. In 1979, 86 convictions were reported, of which only 22 or 48% were in BC, with the rest spread across the country. Alberta that year had 17 convictions, Ontario 10 and Quebec 17. These data reflect an increase in popularity and availability of BC magic mushrooms across the country. Our local magic mushrooms had become a commercial commodity exported to other provinces. In late 1979 the B.C. Appeals Court ruled that possession of mushrooms in their natural state did not constitute possession of the restricted compound per se. A Massett resident had been charged with possession of psilocybin after several containers of mushrooms were seized from her home, but was acquitted. A crown appeal of this acquittal was dismissed by the Appeals Court. As a result of this ruling and a similar ruling in Alberta, from 1979 to 1982 the possession of magic mushrooms was not considered to be illegal. The Queen Charlotte Islands (now Haida Gwaii) became famous as a magic mushroom destination, and people flocked here to pick and dry mushrooms for sale. The Liberty Cap mushrooms of Haida Gwaii developed a reputation for being especially potent and “pure”. Widespread and casual frequent use of ‘shrooms’, and their reputation as a benign drug, led to adverse reactions in inexperienced users, and some unintentional ingestions occurred with very negative consequences. Problems arising from the seasonal influx of magic mushroom pickers into British Columbia were particularly acute in Haida Gwaii, and especially around Massett. In the early 1980’s each mushroom season brought conflicts, referred to by some as the “mushroom wars”, between residents and itinerant mushroom pickers. In 1982 the Supreme Court of Canada determined that possession of dried mushrooms can indeed constitute possession of the psilocybin they contain, and possession of magic mushrooms has been considered illegal ever since. While magic mushrooms remain abundant, and are still popular today, they do not appear to create the social and legal problems of the past. Wild psilocybin mushrooms sold for recreational use have largely been replaced by the easily cultivated tropical to subtropical species, Psilocybe cubensis, and picking, possession and use of the Liberty Cap now tends to be mostly personal and localized. Problems once caused by magic mushrooms now seem insignificant when contrasted with modern abuse of highly addictive and destructive chemicals such as crack-cocaine, methamphetamines and refined opiates or synthetic opioids. Below are two newspaper articles from 1979 and 1980 that illustrate some of the attitudes about the magic mushrooms at the peak of their popularity. Claims of possible disastrous consequences from eating magic mushrooms proved to be unfounded. PRINCE RUPERT B.C. (CP) The federal justice department must make possession of so-called magic mushrooms illegal, a doctor in the Queen Charlotte Islands said Wednesday. Dr. Steen Andersen said as long as people are allowed to harvest and eat the psilocybe mushrooms which grow abundantly in the Islands’ soggy lowlands they face the risk of genetic damage, degenerative brain disease and death. Dr. Andersen, who lobbied for restriction of the drug psilocybin in 1974, was responding to a recent B.C. Court of Appeals decision that said possession of the mushroom in its natural state is not an offence under the federal Food and Drug Act. He said he committed several people who participated in this fall’s mushroom harvest to Riverview mental hospital in Coquitlam for treatment of toxic psychosis. In past years he has seen one person die from a mushroom overdose and another die after eating poisonous mushrooms they thought contained psilocybin. He said little is known about the long-term effects of the drug. Dr. Andersen said Queen Charlotte Islands residents are worried about the social problems which could accompany an influx of transients next year if the mushrooms remain legal. They are establishing a committee to pressure the government to change the law. In October, animosity between residents and transient mushroom gatherers resulted in sporadic fighting and several minor assault charges. Dr. Andersen said residents are also concerned about possible effects on the community’s youth. Meanwhile, RCMP in Masset are in a quandary about what to do with the mushrooms left over from arrests when possession was thought to be illegal. Sgt. Gordon Gibbs says the mushrooms will remain in police lockers for the time being, but he isn’t sure what he’ll do if someone comes to claim them. The Montreal Gazette September 24 1980. By Sid Tafler. VICTORIA B.C. – Mushroom pickers – for fun and profit – are at work on the B.C. coast, without fear of arrest or prosecution for the first time in many years. A high court decision that threw out a charge of possession of hallucinogenic mushrooms makes all the difference – picking, possessing and even selling the psychedelic plants is all perfectly legal this year. The mushrooms grow in pastures and ditches in some areas of Vancouver Island, the mainland coast and the Queen Charlotte Islands in northern B.C. They appear after a heavy rainfall in autumn, and are gathered by locals as well as visitors from eastern Canada, the U.S. and even Europe, who pick the mushrooms for their personal use or to sell for distribution thousands of miles away. Counterculture sources say the mushrooms go for $2,000 to $3,000 a pound in their dry form in Quebec or Ontario, where they’re divided into grams or ounces for resale for larger profits. 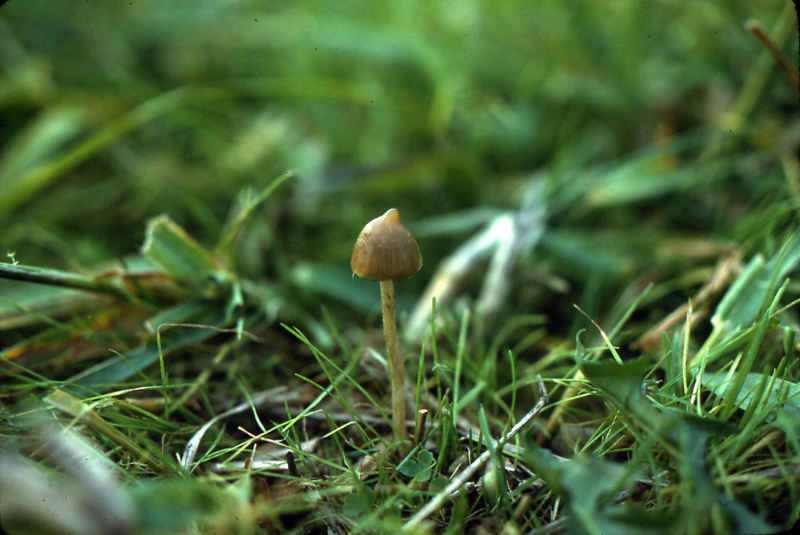 The small, slender psilocybe mushrooms contain psilocybin, an hallucinogen that has been compared with LSD and mescaline. In past years, mushroom pickers were arrested and charged when they were caught in the act, as psilocybin is listed as a restricted drug under the Food and Drug Act. But last december the B.C. Court of Appeals ruled that possession of the mushrooms themselves is not an offence, since the plants are not specifically prohibited in the act. The court of appeal, the highest court in the province, dismissed a Crown appeal of the acquittal of Maisie Parnell of Masset, on the Queen Charlotte Islands, who was charged with possession of psilocybin after RCMP constables found several containers of mushrooms in her home. Chief Justice Nathan Nemetz agreed with defense council Blair Johnstone’s submission that possession of the drug psilocybin as a part of the natural plant cannot support a conviction for possession of a restricted drug. By comparison, in the definition of narcotic in the narcotic control act, parliament intended to prohibit the plant as well as the derivate drug, the chief justice said. But he held that no such interpretation could be read into the definition of a restricted drug in the Food and Drug Act. “The B.C. Court of Appeal decision is the law and the law will be applied accordingly.” said Mark De Weerdt, B.C. regional director for the federal justice department. “Simple possession of the mushrooms will not lead to prosecution for that offence,” De Weerdt said in an interview. But he warned that any person found extracting psilocybin from mushrooms would be charged. Pickers also face possible arrest for trespassing, as the mushrooms are often found on private land. De Weerdt, who supervises 24 crown councellors in Vancouver, said his office often gets calls from hospitals with patients suffering from mushroom poisoning or overdose. Pickers sometimes take the wrong varieties, or eat too many hallucinogenic mushrooms and end up in emergency wards, De Weerdt said. There are striking similarities between psilocybe and some dangerous poisonous mushrooms. And the many varieties of psilocybe contain widely varying amounts of the drug psilocybin. Only two or three specimens of one variety could have the same hallucinogenic effect as 20 or 30 of a less potent type of mushroom. RCMP officers on Vancouver Island and in the Queen Charlottes confirmed that they are not arresting mushroom pickers this year. But an officer on Graham Island in the Queen Charlottes has already observed some pickers and left them alone. Veteran pickers say the bitter-tasting mushrooms are generally eaten fresh or dried and in small quantities. None said they were processed into chemical psilocybin. Police and pickers said some people come from as far away as France or Switzerland for the magic mushroom season, which begins this month with early fall rainfall. Thomas J. Reidlinger (ed.) 1990 The Sacred Mushroom Seeker: Essays for R. Gordon Wasson. Dioscorides Press Portland. This history of Magic Mushrooms in BC was adapted from The Outer Spores: Mushrooms of Haida Gwaii by Paul Kroeger, Bryce Kendrick, Oluna Ceska and Christine Roberts. 2012. Published by Mycologue Publications, Sidney-by the sea, British Columbia. This book is available from the Vancouver Mycological Society. By Paul Kroeger. Updated March 9, 2018.